Imagine this scene: you’re walking (rushing) to get somewhere with your kids and they stop in their tracks, mesmerized by whatever bug or insect they see on the ground. Your initial instinct is to hurry them to your destination, but then you stop and watch as they become utterly fascinated by whatever creature is on the ground. It’s no surprise if this happens more often than not. Kids are fascinated by bugs of all all kind and they provide endless learning opportunities! 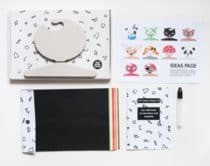 Get your little entomologist on board with these fun bug and insect crafts. 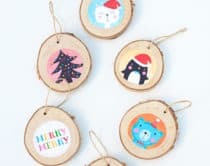 Gear them up with their own lighting bug jars, butterfly catchers or insect hotels. 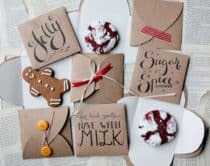 Or make some cute bugs from unexpected items like wooden spoons and recycled bottle caps. 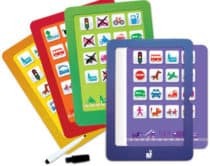 These activities are not only fun, but a great excuse to go outside and play with nature. 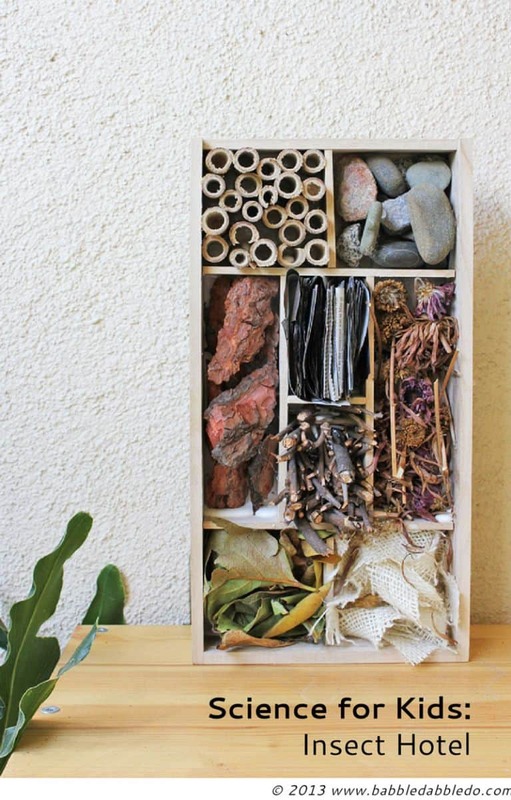 Insect Hotel (via Babble Dabble Do) Even bugs need a cozy habitat to call home. 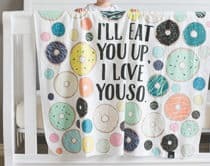 Make them a comfortable abode and keep watching to see what happens! 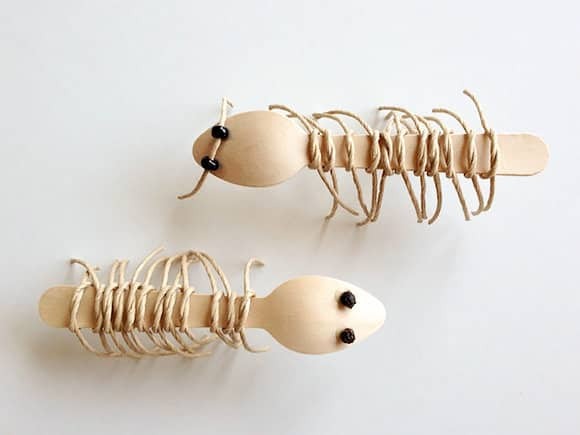 Wooden Spoon Bugs (via Handmade Charlottte) Wooden spoons make great natural looking exoskeletons. See how to make anything from insects, ladybugs or dragonflies with this clever tutorial. 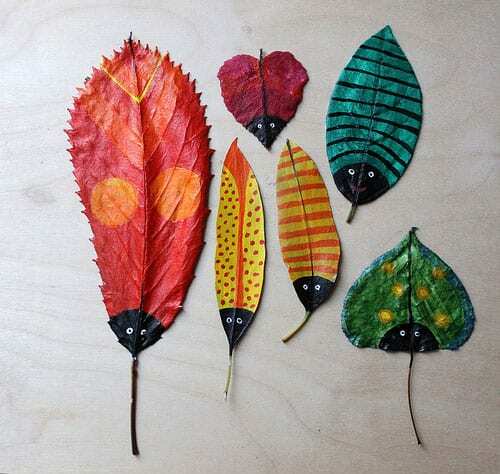 Painted Bug Leaves (via My Owl Barn) If the kids are already playing outside have them collect leaves in all different shapes and turn them into the coolest looking painted bugs. 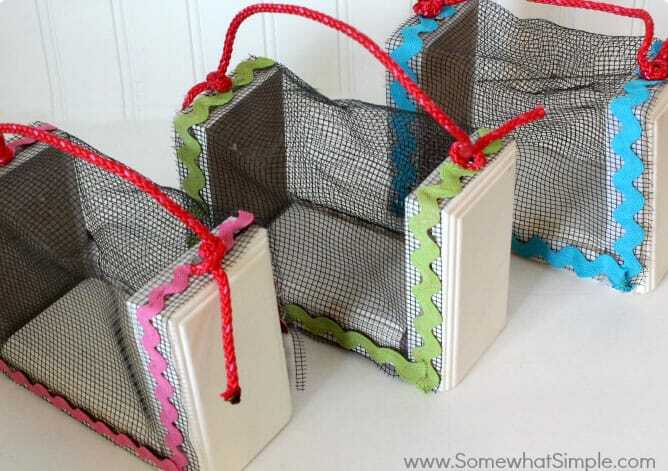 DIY Bug Catcher (via Somewhat Simple) If you’re going to learn all about bugs, you need to catch them first. 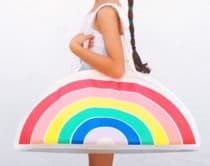 Make these cute bug catchers with neat handles that can be styled up a bit with some colorful ribbon. 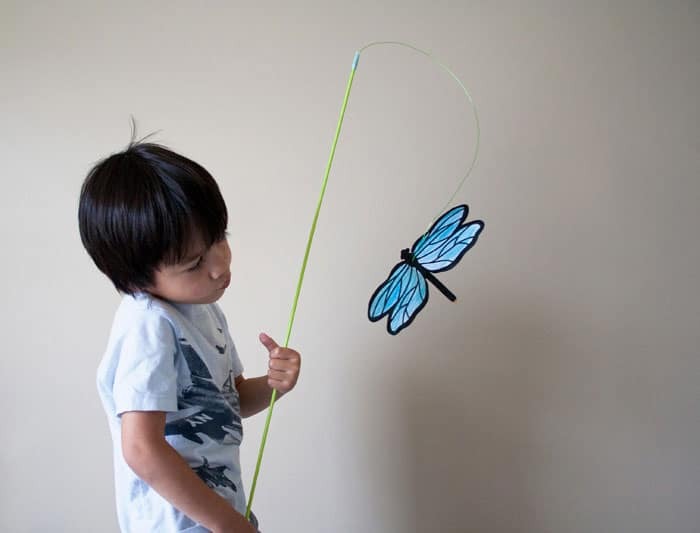 Bug Bouncer (via Bloesem Kids) Make a dancing butterfly or dragonfly with this fun craft which comes with free printable templates for the bugs that your child can color in. 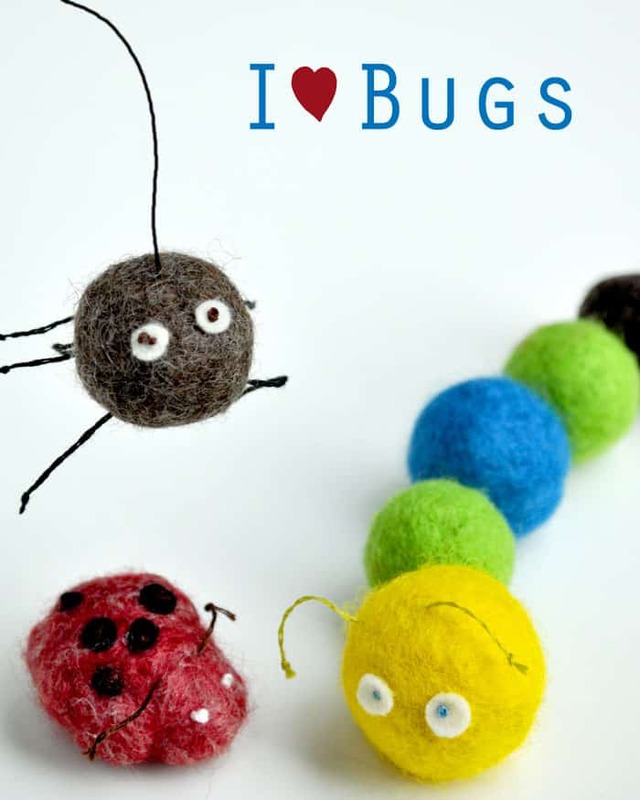 Felted Ball Bugs (via Curly Birds) Not only do felted balls make the most adorable insects, making the felt balls from scratch is also a fun activity for kids to learn. Butterfly Bird Feeder (via Brightnest) Instead of running around trying to catch that elusive butterfly, it turns out it can come straight to you instead! 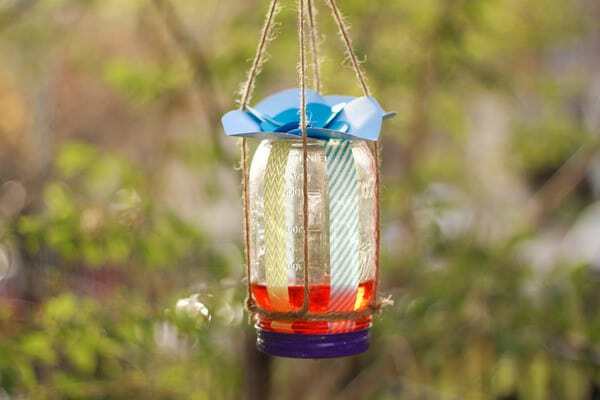 Find out how with this easy mason jar butterfly feeder. 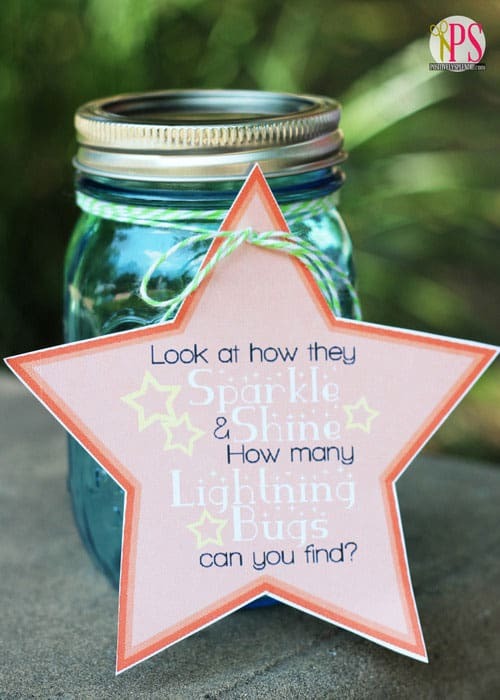 Lighting Bug Jar (via Tater Tots & Jello) How fun is this cute printable lightning bug tag? 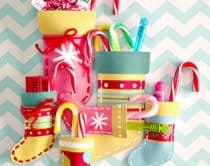 These jars would keep the kids busy at any outdoor parties or gatherings. 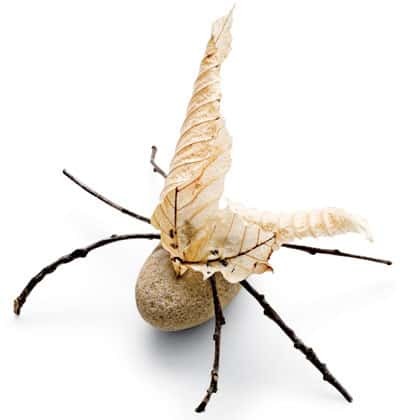 Rock Bugs (via Spoonful) With just some rocks and other basic outdoor materials, you can make some very natural looking bugs and critters. 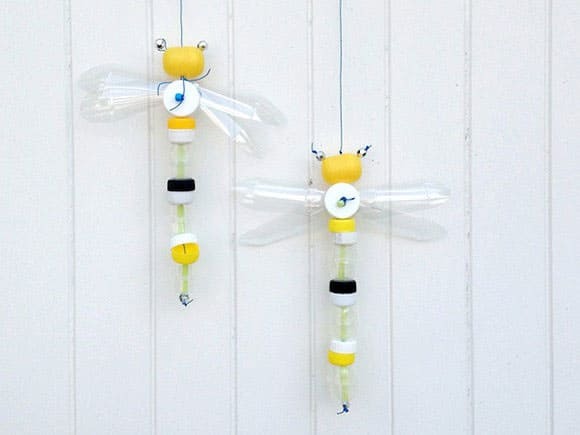 Recycled Dragonfly (via Handmade Charlotte) Hang on to all those water bottles and caps to make these easy dragonflies for a fun and easy recycled craft. 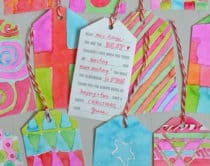 Check out more creative kids’ crafts here!